Your dream of building your own thriving town starts with few explosive charges and a yellow truck. As you mine the landscape and the money starts to roll in you'll be able to expand and manage your business empire, buying buildings, shops and facilities. Soon people will be rushing to set up camp in your fledgling town. Then the real challenge begins. 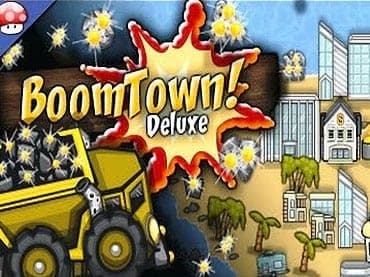 - Every game of Boomtown! is a unique test of your strategic management skills. If you have questions about BoomTown! Deluxe game, please contact us using this form.